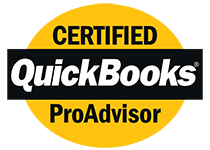 Onsite Accounting & Tax Services Inc.
As Certified ProAdvisors we help businesses get the most out of their QuickBooks software. We provide a range of services, including: QuickBooks setup, training, payroll and consulting, among others. Attention new accounting clients! Now get 3 months of accounting free with a 1 year contract! © 2019 Onsite Accounting & Tax Services Inc. All Rights Reserved.